Hydrometallurgy is the widest field of extractive metallurgy. Hydrometallurgy applies the science and technology of aqueous solution chemistry to develop effective, efficient and environmentally safe methods for the recovery of metals from any of a number of metal-bearing sources, but predominantly ores and concentrates. At McClelland Laboratories we have completed thousands of projects for clients throughout the world enabling them to increase efficiency and ultimately profitability. Leaching is the fundamental method in hydrometallurgy for recovering metals from ores. 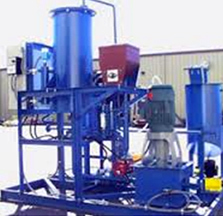 The process involves dissolving the metals into a solution and then separating the solution from the insoluble waste. Dissolution can be done by a number of chemicals including dilute cyanide, dilute sulfuric acid or other reagents that allow for metals to be solubilized. 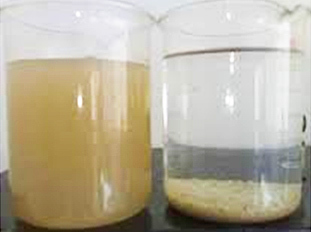 Adsorption on activated carbon is the most widely used method to recover gold from cyanide solutions, but once it is loaded you must be able to recover the gold from the carbon. At McClelland Laboratories we can determine the carbon loading for your ore and then determine the best process to recover the gold and silver. Here we evaluate carbon stripping and regeneration as well as Merrill Crowe precipitation and ion exchange. Once the metal values are leached from the ore and are in solution, the tailings must be evaluated. A variety of methods are used to separate the liquid from the solid. These include settling, centrifuging, filtration and screening.of the optimum method can dramatically affect processing costs. 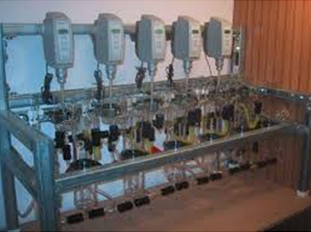 At McClelland Laboratories we can manage all of the testing required to optimize the design of you solid-liquid separation process to ensure optimum processing. From basic settling and desliming tests you can be assured that the right process will determined for your specific ores. Solvent extraction is used to upgrade an element once it has been extracted from the ore. The leach liquor is contacted with an organic solvent that has an affinity for the target element. The element is then extracted from the dilute aqueous solution and loaded into the organic solvent.